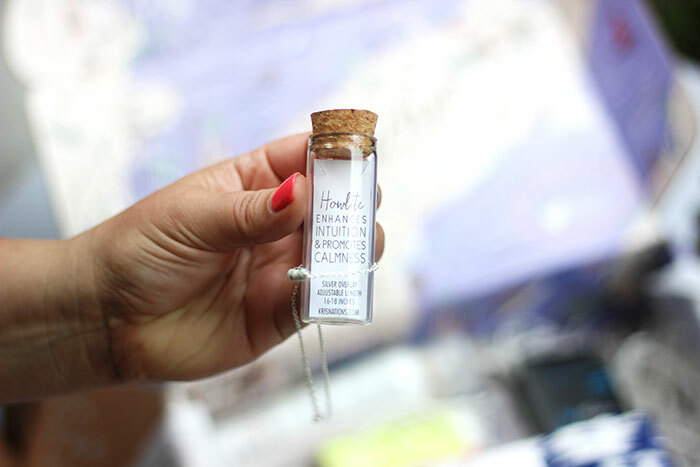 There is seriously something about subscription boxes that I adore. Maybe it’s that feeling like I’m sort of famous? Like, hey Dawn… you’re so awesome. Okay, I did say “sort of famous” since essentially subscription boxes do cost money. But, there is a coupon code for that, so keep reading. 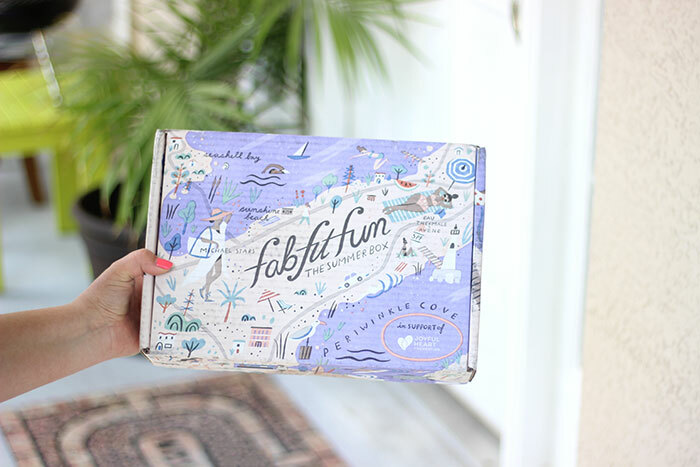 FabFitFun is a different kind of subscription box filled with lifestyle, health, travel and full sized beauty products. You’re not just getting samples, there are actual products you can use in here. FabFitFun boxes come 4 times a year and are seasonally themed. Each box is valued at $200+ and only costs $49.99 each. I’m not one to keep you in suspense, so let’s jump in and see what was in my FabFitFun summer box. Keep in mind that what’s in each box will vary a little. 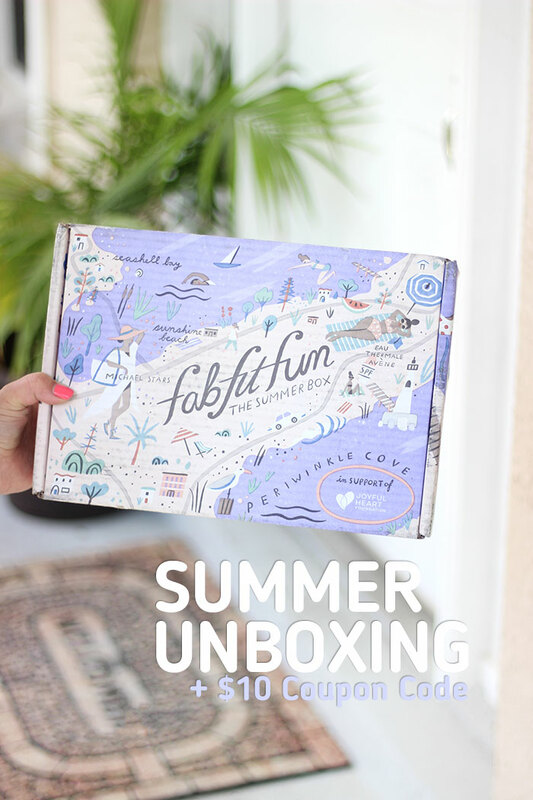 Watch the FabFitFun Summer Unboxing Video and keep reading for more details. 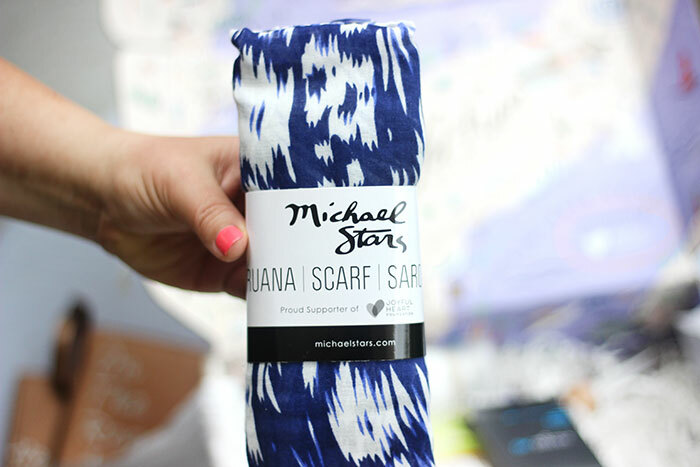 Michael Stars Ruana which is a whimsical scarf. There are different patterns, so you might get a different pattern. Kris Nations Mystic Gemstone Bar Necklace which is a pretty and delicately designed necklace. 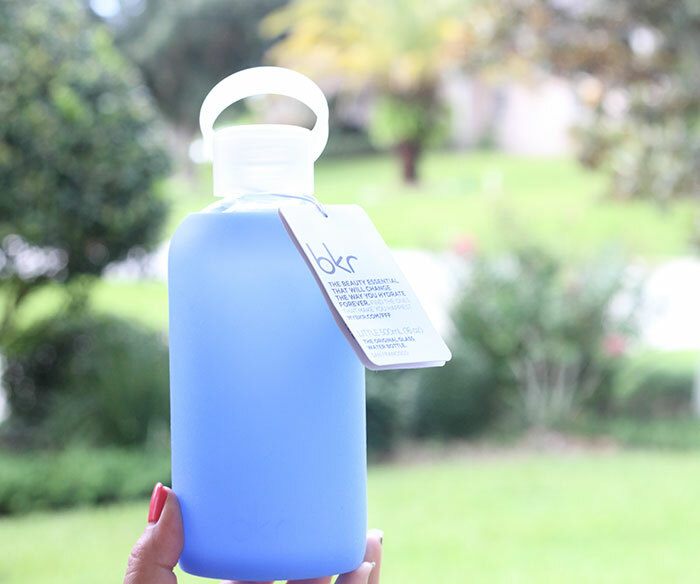 bkr Water Bottle which is a pretty glass water bottle which is fun for something new to try. 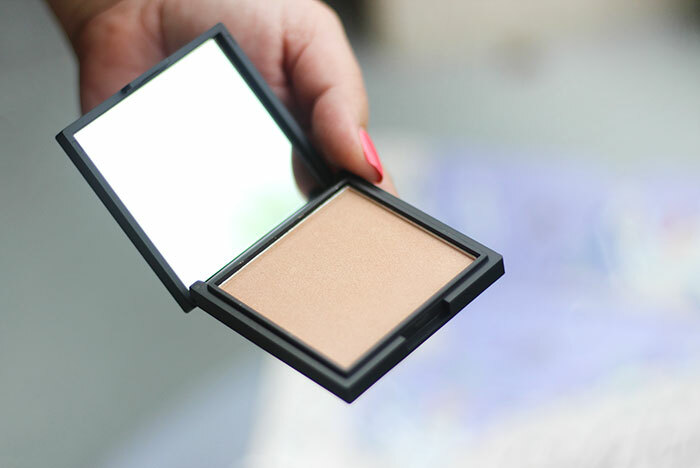 Cargo_HD Picture Perfect Highlighter in Bronze which is one of my favorites in the box. Eau Thermale Avene Ultra-Light Hydrating Sunscreen Lotion SPF 50+ that’s perfect for protecting your skin from the summer sun. Each box will come with either Klorane Dry Shampoo with Oat Milk OR Way of Will 03 Soothe and Cool Post-Training Massage Oil. Understated Leather On The Road Again Travel Set (Passport Cover and Luggage Tag), Art Set (canvas, paints, stencil) OR Salt Set (Himalayan Pink Rock Salt). 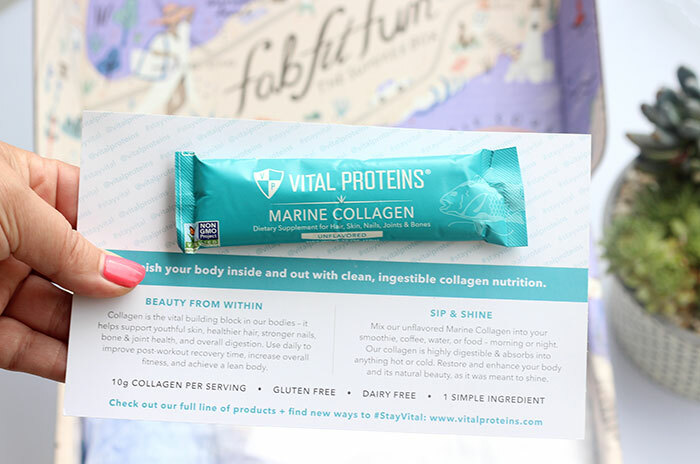 My summer box also came with this fun bonus sample of Vital Proteins. I really enjoyed opening this summer box, it definitely felt like a fun adventure in itself. 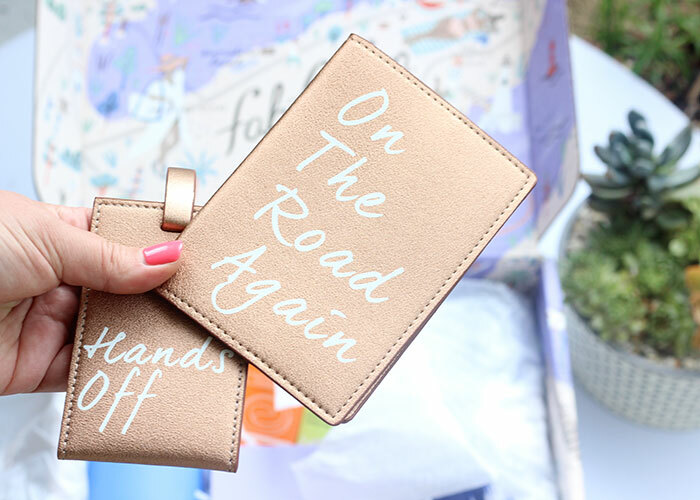 I’m definitely digging the whimsical vibe and these goodies will definitely be fueling my summer adventures. Do you love what you see? 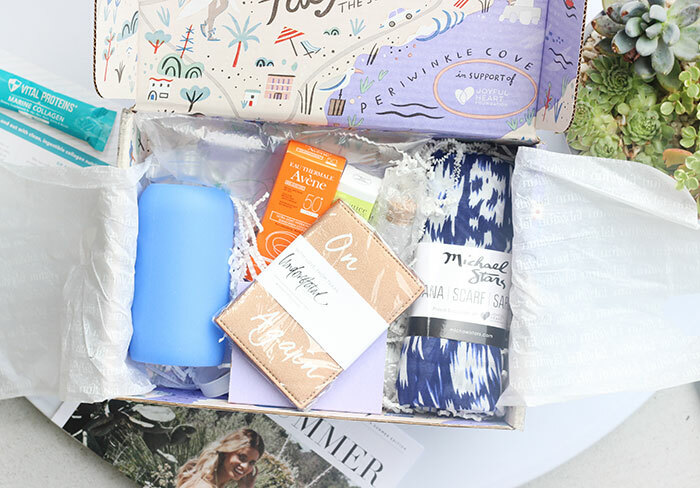 You can score the FabFitFun summer box too! But, these WILL sell out so don’t wait too long. Sorry, but my special coupon code is just too adorable for words. What’s your favorite FabFitFun summer box goodie? I love subscription boxes. It's like Christmas every month. I really like that scarf. Oh these are so tempting! Like how it's filled with stuff that will actually be used. I love this! I haven't tried their boxes yet but it looks amazing! Very interesting to see what's in your box every month!! Subscription boxes are the best. I love getting surprised. I just subscribed to the FabFitFun box. I am so excited to get it and see what is in the fall box. FabFitFun has amazing products in their boxes. I am so excited for the next one to come out. I love all these subscription boxes. I have been hearing so much about this one lately too. I think you got a lot of great items in your box! Man, this box is like a super awesome dream all wrapped into one. I totally love everything, but would agree the highlighter is my favorite item, I could totally rock that with my complexion. I love the boxes from FabFitFun. They always have such great samples. And they are full sized too. What a great deal! What a fun subscription box to receive! I love subscription boxes, they are like getting a surprise present every month in the mail. This one is awesome, I love that water bottle especially, I could totally use that! 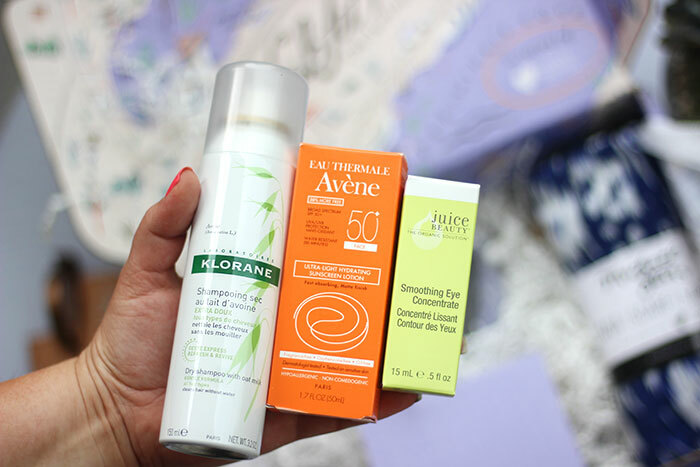 I can never get enough subscription boxes! The water bottle is super cute and looks like the perfect size for the gym! Ooh, they really did include some cool stuff. I think I'd be happy with the cool scarf and the new water bottle! Who doesn't love getting fun surprises in the mail. Subscription boxes are the best!! I love subscription boxes. It's like getting a little Christmas gift every single month. I think I like that scarf the best. That is one of my favorite colors. I love that FabFitFun is seasonal. I think my favorite thing in the summer box is the scarf. I'd probably use it as a beach sarong. It's so colorful. I would squeal if one of these showed up at my door. The necklace is my personal favourite!!! !